Intervju med spökjägaren John Fraser. 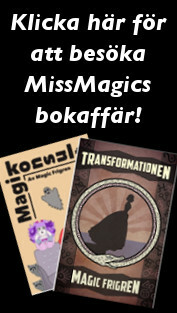 | Magi, mystik och det okända! Intervju med spökjägaren John Fraser. It´s so great to get the chance to talk to you. 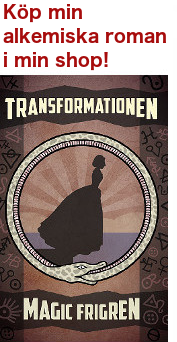 I really loved your book and I recommend it to everyone. Would you describe your inspiration and why you decided to write it? 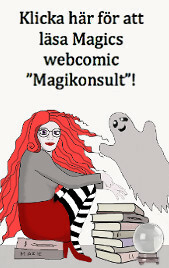 Hi to you Magic, great to talk to you as well, I came across your blog in Swedish recently about my book – and when I put it in auto translation part of it when literally translated complemented my book on its ‘smelly humour’ which gave me a laugh and made me get in contact with you . 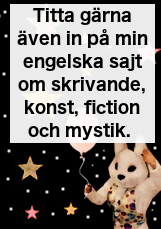 If only to find out what ‘Smelly Humour’ in Swedish actually means? As for what inspired the book – at the time of writing there were so many around about haunted places but few if any published in the UK about Ghost Hunting itself . The USA ones that existed seemed to mainly be about equipment . One even recommended taking a Geiger Counter for Radio activity which seemed to be missing the point . So i decided to brush the cobwebs off my old notes and write something more realistic – the premise being that Ghost Hunters are like old fashioned Alchemists not fully scientific yet – but then again Isaac Newton was an alchemist before discovering gravity – so don’t totally write us off! The second premise in the book is that Ghost Hunting is something fascinating and far more mind opening than simply sitting looking at measuring equipment when we don’t really know what a ghost is . Hopefully the book succeeded in its aim ? It sure does! Do you have any plans on writing more books about the paranormal in the future? I have started writing another book concentrating on ‘Poltergeists’ those strange noisy entities that seem to have the power to move objects move or communicate by tapping and generally make a nuisance of themselves . Interesting twists here include the fact that what Eastern Europeans refer to as Vampires actually have a lot of Poltergeist type behaviour – something I discovered on my numerous visits to Transylvania Romania – but that’s another story !! The point being of course if the phenomena happens around the world , it is far more likely to be real . The main premise of this book is that whilst its impossible to really prove or disprove the apparition type ghost which might just be hallucination – if something is thrown or moved, and trickery excluded, the long neglected poltergeist is far more easy to be shown to exist. Now I say long neglected Poltergeist as at least in the UK I can see no major book published since the mid 1980s when Colin Wilson Published “Poltergeist – a study in destructive haunting s ” which I would very much recommend – (at least until any further book of mine is published). Tell me what your first ghosthunter experience was like? That I guess was the rather personal trip I took to a ruined cottage at Sandwood Bay in the North of Scotland , chosen for the fact that it was four miles from the nearest road and surrounded by marsh land – which whilst not very scientific gave me the very personal experience of being trapped in a haunted house for the night – literally . Whilst not much paranormal happened I researched the place and sent some theories to the writer Peter Underwood who invited me to join the Ghosts Club – a great old establishment founded in 1864 . From there I subsequently joined the Society of Psychical Research(SPR) – a ‘much newer’ body founded in 1882 and have been lucky enough to sit on its ruling council for about the last 10 years. So while Sandwood Bay was just really a personal dare – it did also get me involved. What advice would you give to someone who is curious about going on ghosthunts but doesn´t know where to start? For Swedish natives I am a bit short on advice about local Ghost hunting groups . there are however a couple of university parapsychology courses one run by Professor Adrian Parker who I know fairly well as a fellow council member of the SPR . Here is the link below . The Ghost Club my first main organisation sends out excellent publications to its members abroad at discounted membership and has monthly meetings in London should anyone be passing through. I believe the rate is £25 which the way things are going would barely by a round of drinks in an average Swedish bar . What is your favourite piece of ghost hunting equipment? That thing between our ears commonly know as the brain . Any other equipment is speculative. That is not to say don’t use it but the first thing to remember is we can’t really be sure if ghosts in a paranormal sense actually exist – and if they do what they actually are. So in all cases of investigation we need to keep on our critical thinking head . I share the view that ghosts (if we believe they are the spirits of the dead) should be no more dangerous in general than random people we meet on the street. But with that said, have you ever had an experience with the paranormal that has really frightened you? Something that has actually felt dangerous or evil? Magic – I sadly have no special magical psychic powers and have described myself as being about as psychic as a brick. So any evil presence would probably go unnoticed by me. I have heard the odd strange footsteps sound and seen doors opening for no apparent reason but nothing that has made my hair stand on end . Saying that I do know many who have – I have recently been doing an in depth study into the case of a mother who lived in an converted prison in St Osyth Essex UK , who got so unnerved by the phenomena she actually had to move out . There are enough cases like this to take the paranormal very seriously indeed. Do you you think it would be a good or bad thing if we ever actually got hard scientific proof that there really is an afterlife? Who wants to live forever? I’d give it a try – so the answer is a definite yes! But I get the feeling that there’s only one way to find out for sure – so I guess I wont be finding out for a few years. Final question just for fun: Ghost Hunting is very common in popular culture. Is there any movie / book / tv-show that you think actually gives a kind of good depiction of what a real paranormal investigation is like? Paranormal investigation is a bit like fishing lots of waiting and then something exciting suddenly happens – many people like fishing but there has never been a film about it – the excitement anglers get is just not visual. Likewise no film has truly mirrored a real paranormal investigation . As for TV shows -in the UK Shows like ‘Most Haunted’ have made many behave like the show – rather than the other way round . Half the fun of investigating is the research – i love tracking down witnesses that corroborate what others have said . That fascination is never going to be conveyed by any media. Big thank you for joining me on my blog and sharing your ghostly experiences! I hope your readers will get something from it – and if the odd bit of ‘smelly’ humour has been added so be it? Köp hans bok HÄR och besök The Society for Psychical Research HÄR.